Does your agility year just pass you by? Are improvements in your agility performance the result of a happy accident or are you fighting fires throughout the year. Do you bother to plan ahead? No? Don't worry. You are not alone. According to Steve Croxford, most people don't plan ahead or tackle problems in a clear and logical manner. He believes that the agility year can be divided into distinct seasons which when tackled with your instructor can results in better performance all year round. Radical changes and attempts to fix fundamental faults mid-season, which have been developed because of ingrained training faults, often exacerbate problems rather than help them. The patchwork of corrective fixes cobbled together during the competition season usually end in failure so, by the time the end of the season arrives, things have got so bad that many handlers are simply glad of the break! They look forward to the off-season as a period when they can forget about their agility for a few months before getting back into things just before the next season starts. However, this approach misses completely the opportunity to address properly problems encountered during the previous season. In most cases, the whole cycle and frustrating experiences simply start again. Sound familiar? Carefully planning your agility year is an important way of enhancing performance at whatever level you set you goals. The table below and the objectives indicate why breaking the season down this way can be so important. This is probably one of the most important periods for the agility handler. This is where you establish the groundwork for a successful ‘next season.’ If you have encountered a particular problem during the season, this is the point when you can plan properly to do something about it. Say, for example, you have come to the conclusion that your contact training method is in need of a radical overhaul. This is the point in the year that you need to establish what you are going to do about it. Leaving important decision such as this to the pre-season period will be too late as it is unlikely that you will have sufficient time to complete the overhaul and confidence test everything before the competitive season starts. The off-season is also a good time to think about what your outcome goals are for the following year so that these can be built into your plan. The off-season is a period of active rest and planning & preparation for the next phase, It is not a period of complete inactivity. The beginning pre-season period is when you should finalise your season outcome goals and set training goals for the coming months. If you have already started a major overhaul of your agility training, then this period is where you should be honing these skills and performance testing what you have achieved so far in your programme and making any necessary adjustments. Your plan should be focused on developing the weakest area of performance, whilst at the same time maintaining and improving stronger areas of performance. By the time the competition season proper begins, you should be at or near achieving your performance targets for pre-season. The competition season is about exactly that, competition. It is not a time for complete changes in direction in terms of either training or development. This period is about maintaining your performance and achieving consistency of output i.e. results based on your performance goals. During this period you should have a clear training cycle based on maintaining performance across the broad range of skills needed during the agility season. The competition season plan should also take into account the need to maintain fitness levels and periods of ‘active rest’ where the dog and handler are able to recover properly from intense periods of competition. If your training plan for the year has been well defined you should get much closer to achieving your outcome goals. Addressing the agility year in this way forms the basic foundations for the most successful handlers. 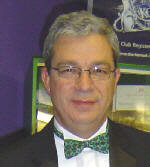 Steve Croxford is a full time agility trainer and handler coach. 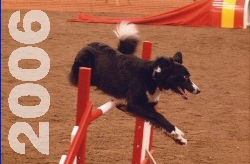 He is also a regular competitor on the agility circuit. A former Olympia finals and Crufts team winner, Steve is currently the Manager of the Kennel Club's World Championship Agility Team. His extensive experience of training and competing at all levels both in the UK and abroad gives him a unique insight into agility training and coaching.